Mini Mexican Wonton Quiche: easy brunch or appetizer! So, I know you think I’m pretty much perfect in every day (I saw that eye roll! ), but in fact, it hasn’t always been this way. Occasionally — don’t tell my husband — I even make mistakes (though these Mexican Wonton Quiche were not one of them!). I have learned a lot though, in my few years of existence, and I think overall it’s made me a better person, daughter, sister, friend, cook… and gift giver. Now, I’ve mentioned this before, but my mom has always been the kind of person (at least as long as I’ve known her!) that finds a really great recipe for something and sticks with it. 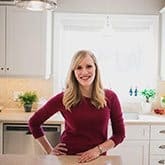 This is awesome, and because of this I’ve got some really great, classic recipes, like my Mom’s Chocolate Chip Cookies or these Oatmeal Peanut Butter Chocolate Chip Cookies that I know will always be good. But every once in a while my mom would let my little sister and I pick a new recipe and try to make it on our own with minimal guidance. One Christmas, my sister and I decided we wanted to make fudge. I mean, it’s pure chocolate, so it seems like pretty much the perfect food when you’re 10 years old, right? So we made fudge. And it tasted like chocolate and sugar, so we must have done it right. We got one of Mom’s little Christmas tins and packaged some up to bring to Grandma for Christmas, and I’m pretty sure it was the look on my Mom’s face as Grandma so kindly tasted some, told us how good it was and thanked us profusely that told us we had not been as successful as we had thought! Looking back now, I know that fudge is actually supposed to be velvety smooth, with an intense chocolate flavor, instead of being grainy from unincorporated granular sugar. I guess there is a reason they say mom’s know best! I’ve learned a few things about edible gift giving (and cooking!) since that day, and I like to think that the people I feed now actually enjoy what I feed them (like quiche, because who doesn’t love quiche?!). But you know, I think perfection is overrated. I know our family, with a 3 year old and a 1 year old, can look a little chaotic at times and I still wouldn’t change it for the world. Even when the 1 year old is clinging to my leg and wiping her nose on my relatively fresh pair of yoga pants, I try to remember that these days will be gone so quickly, and I need to soak it all in. I got the idea for these Mini Mexican Wonton Quiche from my Wonton Quiche from earlier this year. They were so popular, and I can see why! 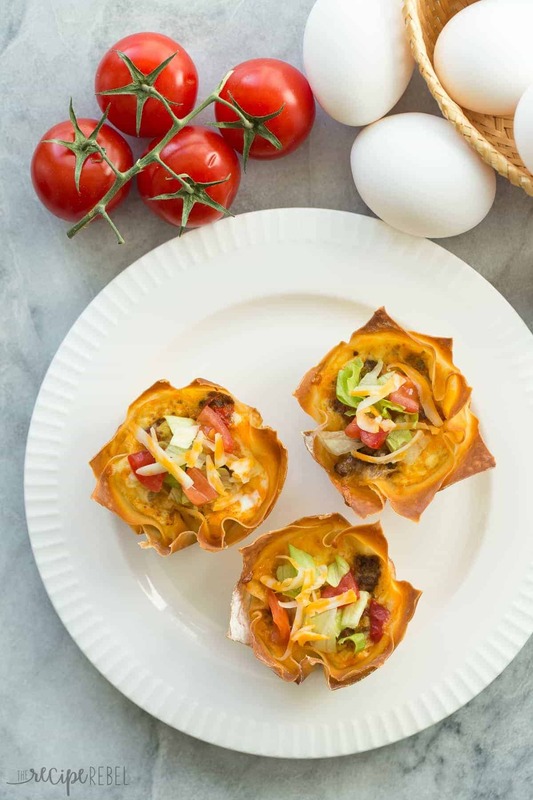 Using wonton wrappers for the crust takes out a good chunk of the prep time and the calories, which makes these a fun, easy, lighter bite for brunch or evening appetizers. Also, because I apparently like stuffing things into wontons. A lot. Like these Pepperoni Pizza Cupcakes or BBQ Chicken Jalapeno Popper Cupcakes? I’ve shared with you my #ScrambledPlan today — a tale of how things don’t always go according to plan, but what’s important is the memories you make and the people you share them with along the way. 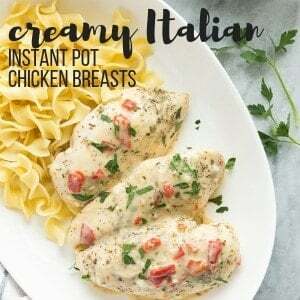 I’ve created this recipe and told you my (somewhat embarrassing!) story in partnership with the Egg Farmers of Canada, and we want to hear all about YOUR scrambled plans! I’d love to hear your messiest, funniest, most embarrassing or most surprising holiday moments throughout the years — I know I’m not alone! *This post is sponsored by the Egg Farmers of Canada and I’m honored to support the more than 1,000 egg farmers in Canada who produce the highest quality of eggs! I’ve been compensated monetarily for my time in creating the recipe and writing my story. See how easy they are to make and don’t forget to subscribe on YouTube! 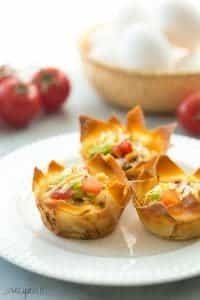 These Mini Mexican Wonton Quiche are simple to make and perfect for breakfast, brunch, or as appetizers! Most of the prep can be done ahead so you can relax and enjoy your holidays ? In each wonton crust, spoon about 1-2 tablespoons of beef mixture. Sprinkle with cheddar cheese. In a greased muffin pan (you will need 18 muffin cups), fit one wonton wrapper, and then fit another wonton wrapper directly on top of that one,staggering the edges if possible (so that they cover as much of the sides of the muffin cup as possible). Repeat until your 18 “crusts” are done. In a medium bowl, combine eggs, milk and salt and whisk until combined. Ladle over beef mixture in wontons, filling about 2/3 full (keep in mind that eggs puff as they bake!). This sounds great for an appetizer, perhaps made in mini muffin pans, tho, but cutting the wonton wrappers smaller. I have a question about a couple of the amounts in your recipe. If you have 2 cups of cooked meat, or 32 Tablespoons, wouldn’t you need to put more than 1 Tablespoon into each of 18 wonton wrappers? I would guess it would be closer to 1 3/4 Tablespoons in each one. And the shredded cheese amount, 1 cup would be 16 Tablespoons, or 48 teaspoons, and you call for 1 teaspoon in each one. Hi Bunny! You’re right — usually I just divide the total ingredients I have by the number of wontons I have, and I guess my math was off in the end. The amount of filling is really pretty flexible — feel free to adjust the measurements to your tastes! What a great party idea! I bet these disappeared quickly! Thanks Charmian! They definitely did! These look like the perfect finger food for brunch! And using wonton wrappers is very clever. Adding these to my holiday brunch bucket list! Thanks Marie! I love wonton wrappers for all kinds of things — they’re such an easy shortcut! Haha, I love your fudge story. I think those mishaps we have are great learning experiences. I’m still trying to remind myself that failing means I tried to do something, which is a victory! Also I LOVE these little quiches! Those wonton wrappers are so great, I love how they crisp up. The mexican quiche filling looks so good! Ashley, I love these!!! the perfect party food! Ashley – My sister and I love to bake together on holidays, too. She usually ends up decorating while I end up mixing up batter and throwing things into the oven. 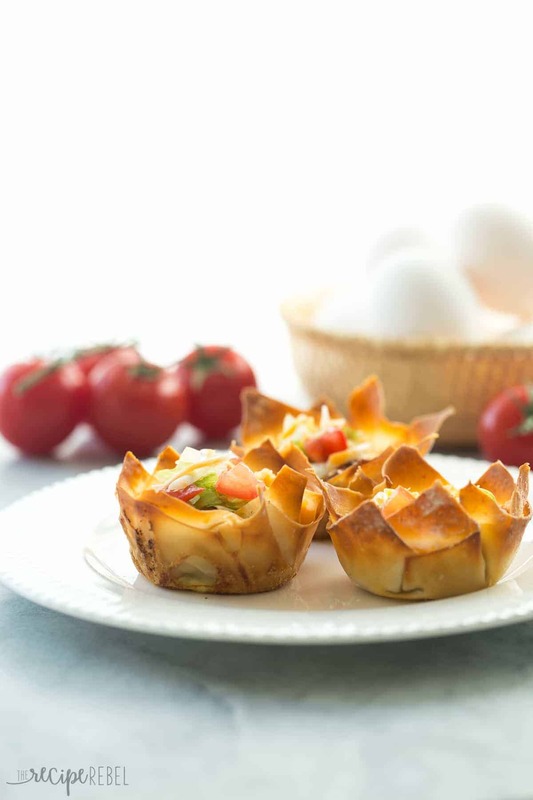 These mini wonton quiches are adorable! What a fantastic idea for a finger food! 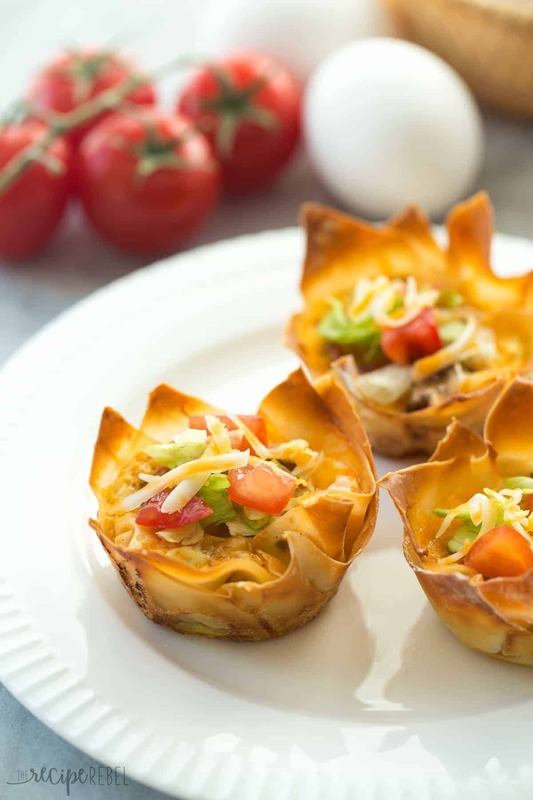 Perfection is so overrated – though, these mexican wonton quiche look awfully close to perfect! These are the perfect little appetizers and I love the wonton wrapper as the crust! My mom never really followed recipes and I think that’s why I can’t seem to stick to one either. 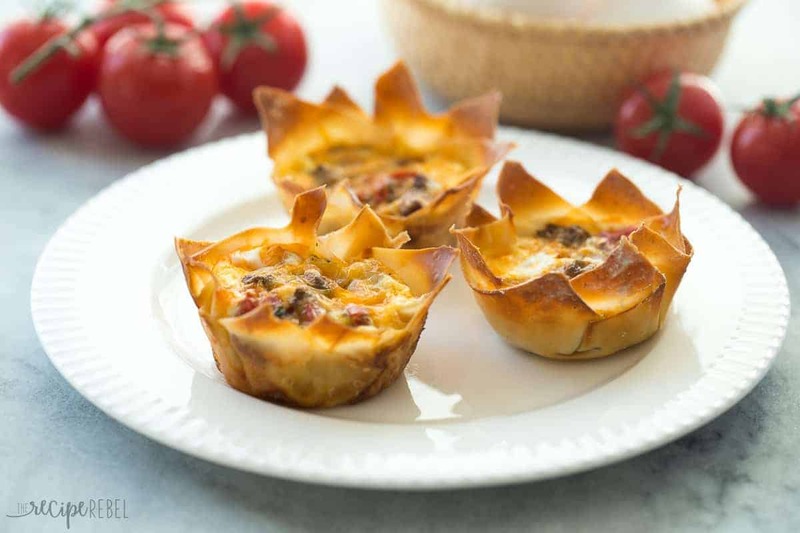 There have definitely been many kitchen flops for me through the years and it’s always fun to look back at how much we learn from them :)These mini quiches are so adorable! They sound like the perfect app – I love the Mexican flavours! The nose wiping on fresh pants seems to be a common one-year-old thing, then? Today she even did it to my husband while he was trying to carry a huge IKEA package up the stairs, lol. I feel like I have learned so much in my 15 months as a mom, definitely that sometimes overlooking the chaos is key to keeping my sanity! I love your wonton quiches, they are so cute and I’m always in favor of using lighter shortcuts! I LOVE these mexican wonton quiches, girlfriend! I mean they are a combination of two of my favorite things – mini anything and Mexican. Plus these are quick, easy and can be made in advance?! Winner Winner wonton cup dinner! Pinned! Perfect for holiday entertaining! Love that a lot of it can be prepped ahead of time! Thanks Jessica! 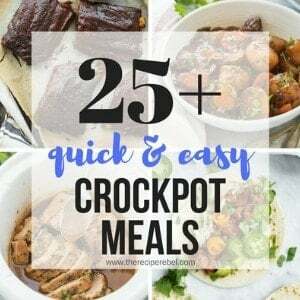 Make ahead recipes are the best during the holidays! They look incredible! Gotta add these to one of the holidays menus ASAP! Mmm love this fun twist on breakfast! And my Mom is the exact same way most of the time. I never altered recipes until well into my blog. Now I never stick to one! I’m seriously in love with these!!! I definitely feel like I’ve learned a lot about cooking, especially over the past few years! I’ve had similar mishaps to your fudge story, it’s so funny to look back on them! These mini quiches are so adorable, Ashley! I would gobble these up in no time, especially since they’re filled with Mexican flavors. 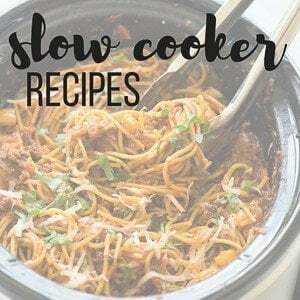 Sounds perfect for an appetizer or dinner!